Plans for the inaugural edition of ART SG, a new significant fair for Singapore and the Southeast Asia region continue to be put into place. 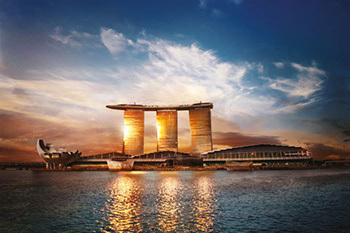 The first edition will take place from 1 – 3 November 2019 (Preview 31 October) at the Marina Bay Sands Expo and Convention Centre showcasing around 80 established and experimental contemporary art galleries from Singapore, Southeast Asia and the world. The fair will provide the highest standards of design and build, as well as a quality visitor experience. The majority shareholders in ART SG, Tim Etchells and Angus Montgomery Arts have announced a new exciting organisational structure for the fair, following MCH Group’s change of direction. Magnus Renfrew has now joined Tim Etchells and Sandy Angus as a co-founder of ART SG. Renfrew has significant experience in art fairs, and in the Asia region as founding Fair Director of both ART HK and Art Basel Hong Kong. Renfrew is presently the co-owner and director of Taipei Dangdai, which will have its launch edition in January 2019. Charles Ross, who was Managing Director of Art HK from its inception through to its sale to Art Basel, and is currently the Managing Director of both Art Central and Taipei Dangdai, will also oversee the operations of ART SG. Shuyin Yang has been appointed Fair Director of ART SG. Singapore-born Yang has based much of her career in the Southeast Asia region, working with Christie’s auction house and Sundaram Tagore Gallery. She is currently the Fair Director of Art Central in Hong Kong. Tim Etchells said, “Sandy Angus and I have been actively developing ART SG for several years and we are ready for its launch. We are delighted that Magnus Renfrew will be joining us as a shareholder and will play an active role in helping us to develop the Fair. We’ve worked together for over 10 years since we created and founded Art HK, which is now Art Basel Hong Kong. Magnus has an unrivalled skill and track record for developing Fairs at the highest level and the launch gallery list for Taipei Dangdai is testament to that. ART SG is supported and welcomed by the Singapore Tourism Board (STB), the National Arts Council (NAC) and the Singapore Economic Development Board (EDB).